Eye-catching labels are an effective way to differentiate products. Every decision brand owners make affects the bottom line of their success in the marketplace, this includes shelf appeal. Studies show that consumers buy instinctively by color, shape and familiarity. Sensory cues that affect our subconscious, generating emotion and action help sell more products. Decorative effects on labels and packaging can be an effective way to stimulate these emotions to create a premium product. Retail shelves are crowded and consumers are overwhelmed with product selections due to rising SKU proliferation. Products with unique labels use color and design to catch the consumer’s attention and outshine the competition. Understanding the need for eye-catching, high quality printing and packaging capabilities is the first step. Often times printing a premium label is associated with a premium price due to need for special decorating equipment or postpress finishing, as well as more designer time to develope the art files. This can deter brand owners as well as create limitations for printers and converters. But to create decorative effects at a fraction of the time and for a fraction of the cost will take your label production to the next level. 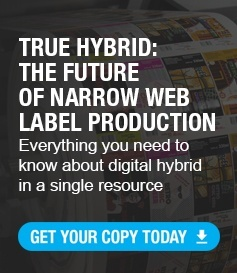 Innovative color communication systems offer a more cost effective alternative to achieving unique, one-of-a-kind labels. While most label printers and converters achieve these looks with cold foil, hot foil, embossing, debossing or other traditional converting and decoration methods, decorative special effects can be produced using white ink and CMYK. 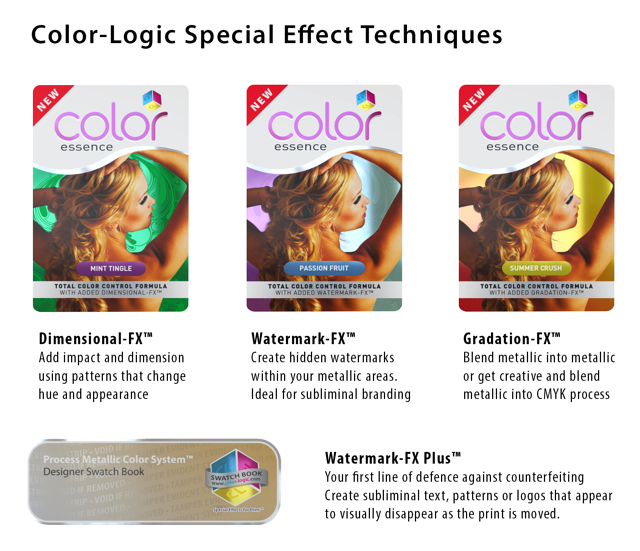 With digital hybrid printing technologies and Color-Logic capabilities, a designer is able to quickly produce eye-catching designs utilizing 250 special metallic swatch colors to create special effects and dimensional patterns using just five inks - CMYK plus white on metalized substrates. An alternative approach would be to use Color-Logic with a metallic silver ink using flexography. This digital print solution not only adds value and efficiency to label printers but also delivers innovative design capabilities to brand owners. It’s a cost-effective inkjet solution that creates reflective designs allowing brands to stand out from the competition. In addition to enhancing shelf appeal, it’s also simple to manage in the design stage. Automated with a series of prepress plug-ins, designers can eliminate extra steps and create the white ink separation in the artwork itself. Eliminate hours of complex art design and allow the substrate to become a part of the design. In just a few clicks, any vector object, vignette or pattern can be converted to metallic utilizing the Color-Logic plugins for both Adobe Illustrator and Photoshop. And seeing is believing, right. Visualize your actual design on screen using Color-Logic's FX-Viewer (a 3d viewer) to show the reflections prior to printing. This allows you to remove the time associated with multiple iterations of proofing. The designer can choose how to visualize the design by selecting either metallic ink or foil to illustrate the effects on screen prior to final output. While color is important, additional decorative effects in print are becoming very popular creating additional demand for printers and converters. Pairing traditional CMYK with digital white ink and metallic inks, foil, and substrates, label printers are now able to utilize 250 new metallic process colors. 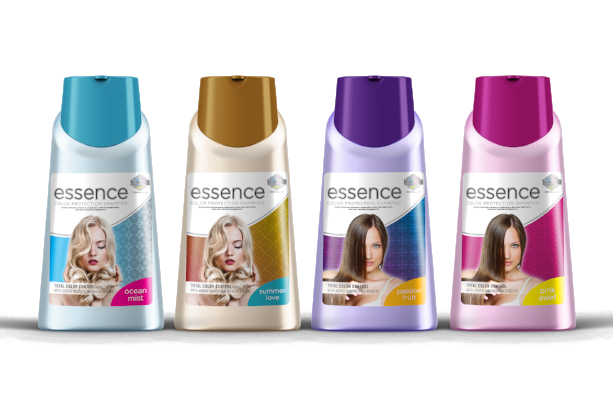 This allows for competitive labels which enhance their designs further by incorporating Color-Logic Pattern-FX into images and label designs to add some serious WOW factor. It’s a manageable solution for printers and converters to provide additional value and differentiation to brand owners. Help your customers outshine the competition with decorative labels. 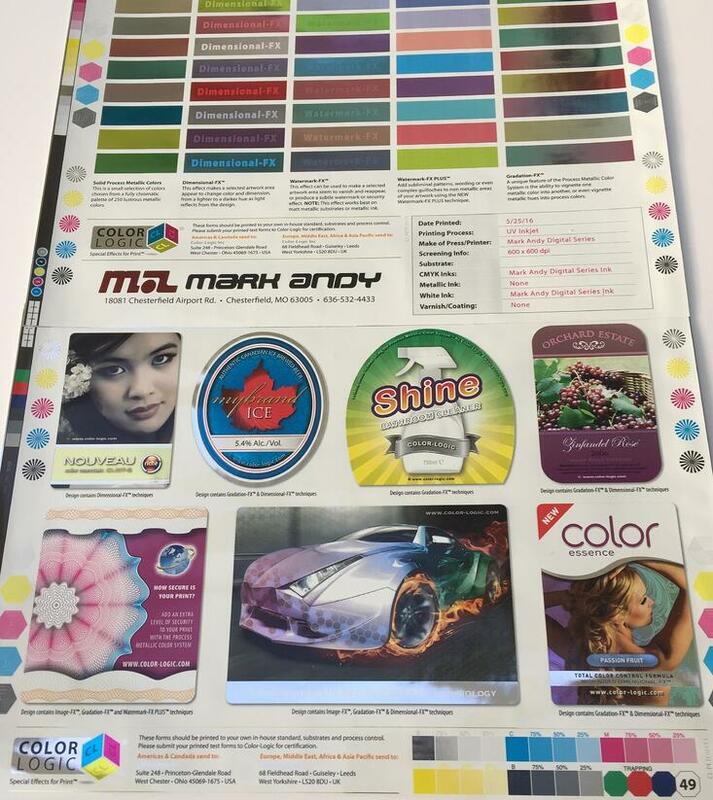 Mark Andy Digital Series hybrid press is certified with the Color-Logic process, simplifying things that much more. “The Color-Logic plugins simplify the arduous task of creating eye catching metallic special effects and using a separate white layer down to a few simple clicks. Having a the FX-Viewer is fantastic to essentially see how your design will look using these effects before it gets to press,” shares Stephanie Gallagher, Mark Andy Digital Prepress Solutions Administrator. Stephanie Gallagher, Digital Prepress Solutions Administrator at Mark Andy, is a solutions and support provider for the Mark Andy Digital Series demo center. She has a passion for design and printing and is inspired by Mark Andy’s Digital technology to create and innovate. You can also find Stephanie on LinkedIn.